Following her attendance at the Trailblazer Honors, Logan Browning hit the carpet for the 2018 BET Awards this evening(June 24th) at the Microsoft Theater in LA. 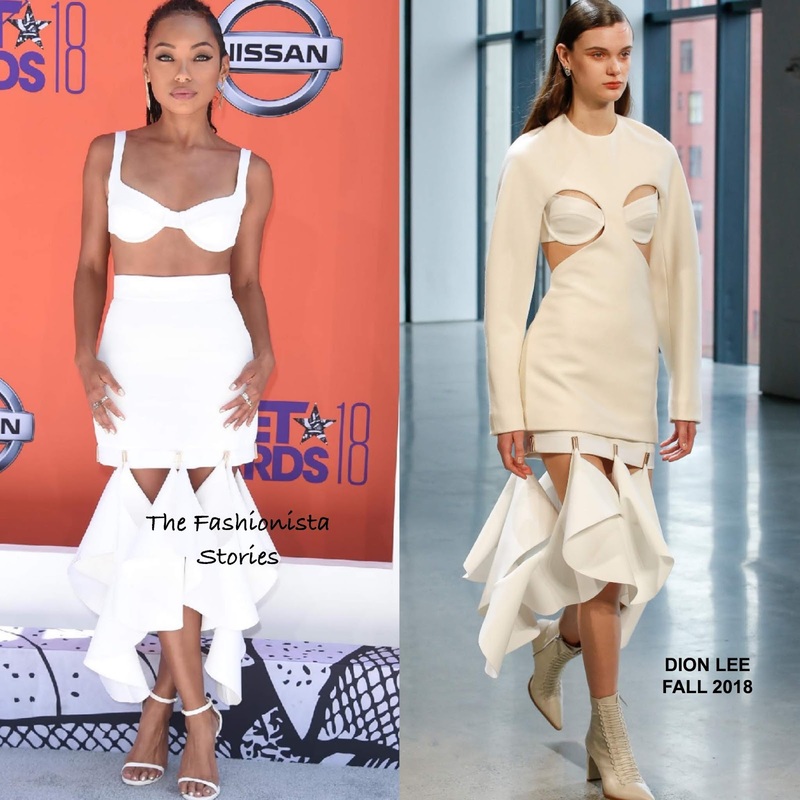 It's hot in LA and even though she is wearing a FALL 2018 look, Her DION LEE white crop bralet and white skirt worked for the occasion. On the runway, her ensemble was shown with a white long sleeve cutout tunic top. While I actually prefer the runway look, she did not need the top. Beauty wise, she went with kohl rimmed eyes and her locks were put up in a simple ponytail which topped off her look along with white ankle strap sandals.